HOUSTON - Venezuela is considering refining foreign crude for the first time to produce fuels, the latest sign of the country's strain to meet its obligations despite having the world's largest crude reserves. State-run oil company PDVSA has drawn up a plan to process up to 57,000 barrels per day (bpd) of foreign crude in June at the country's largest refinery. The fuels produced would fulfill export contracts largely to Russian and Chinese customers and reduce purchases of fuels for domestic use. The oil company has been falling short of fuel exports in recent years due to a lack of lighter crudes to refine, spare parts, poor maintenance and management upheaval at its 1.3 million-barrel-per-day (bpd) domestic refining network. 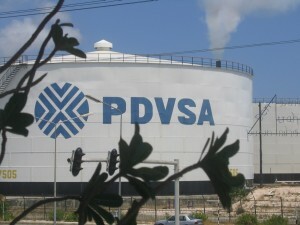 PDVSA also lost access in May to inventories produced in Curaçao, where it operates the 335,000-bpd Isla refinery. The country's falling oil production and exports have led to a severe economic recession, a loss of skilled workers, and widespread food and medicine shortages, hampering efforts to turnaround PDVSA. Some energy experts say further declines could contribute to a global crude shortfall. The OPEC member country had never before imported foreign crude for its domestic refineries, although it has mixed African, Russian and U.S. crudes needed to blend with its extra heavy oil to make exportable products. It also has purchased foreign oil for Caribbean refineries and to supply allies, including Cuba.